Nicholas Flamel is the greatest Alchemyst to ever live. The records show that he died in 1418, but what if he's actually been making the elixir of life for centuries? The secrets to eternal life are hidden within the book he protects - the Book of Abraham the Mage. It's the most powerful book that has ever existed, and in the wrong hands, it will destroy the world. And that's exactly what Dr. John Dee plans to do when he steals it. There is one hope. If the prophecy is true, Sophie and Josh Newman have the power to save everyone. Now they just have to learn to use it. Don’t miss the latest from the author of Eragon: The Fork, the Witch, and the Worm: Tales from Alagaësia, coming December 31, 2018! Eragon and his dragon, Saphira, have just saved the rebel state from destruction by the mighty forces of King Galbatorix, cruel ruler of the Empire. Now Eragon must travel to Ellesmera, land of the elves, for further training in the skills of the Dragon Rider: magic and swordsmanship. Soon he is on the journey of a lifetime, his eyes open to awe-inspiring new places and people, his days filled with fresh adventure. But chaos and betrayal plague him at every turn, and nothing is what it seems. Before long, Eragon doesn't know whom he can trust. Meanwhile, his cousin Roran must fight a new battle, one that might put Eragon in even graver danger. A number-one New York Times best-seller. A number-one Publishers Weekly best-seller. A Book Sense book of the year. A number-one Book Sense selection. 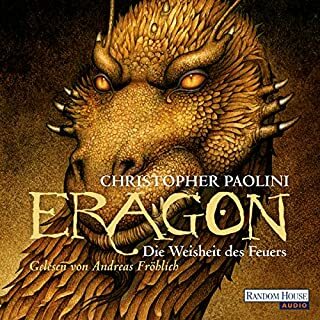 ©2005 Christopher Paolini (P)2005 Listening Library, a division of Random House, Inc. I found myself enjoying this title the more the title progressed. It was one of those books that tends to build so smoothly up to those points of sheer action. Also of specific note is the growth that one is able to witness in the general writing style of the author. 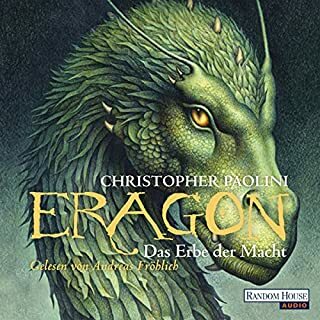 The way Christopher Paolini seems to tackle certain issues in this book as opposed to book one (Eragon) also lent to the book being even more enjoyable than the previous. Book 2 of the Inheritance Cycle is your typical mythical fantasy novel. I couldn't help but notice slight similarities with Star Wars regarding some of the twists that the story takes. That being said, I found the entire title put together very well. In this book you get a glimpse in the lives of the elves and see as Eragon himself grows into an impressive Dragon Rider. 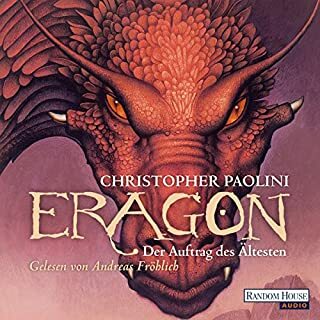 Another great addition to this story was Roran, Eragon's cousin, whose own struggles and quest becomes even more challenging and exciting than Eragon's it would seem. A number of new characters were introduced in this title and it would seem that no one from the previous novel was forgotten either, all reappearing in some form or another through the scope of the title. The narration grew on me throughout this book. You sometimes forget that it is one person doing the narration even though there are so many distinct voices, tones and intonations in the title. The narration in this case only adds to the title here. Truly an impressive listen all over. I look forward to listening to the third book in this series. I thought book one was good but book two is even better with more twists and unexpected surprises. I loved the action and suspense. 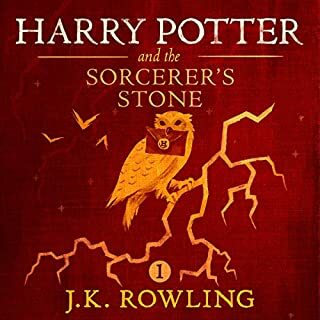 I could not stop listening to the book and cannot wait until book 3 comes out to finish the story. Great story. A standard hero quest but very enjoyable to listen to and I found myself caring about the characters. It built well upon Eragon and I'm looking forward to the next book. I found myself admiring the narrator more and more as the book went on he did an excellent job. I think this is one story best heard, I agree with another reviewer this may have been a bit heavy reading, but being able to relax and enjoy the ride was perfect. Good job and definitely will finish out the series when it is done. love the narration, just feel like safiras voice could be less raspy :P but everything else is amazing. Paolini continues to spin his story that is engaging and entertaining to listen to. Though, as with his first novel, the plot is predictable and dialogue that is intended to be dramatic is often laughably absurd. 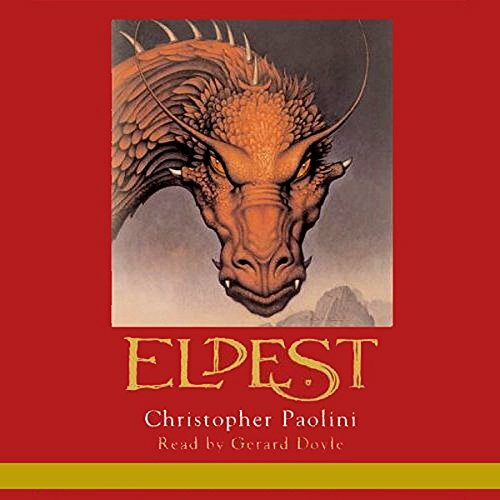 The story is fun to listen to, but Paolini still needs to refine his style and his stories would benefit from more original plot twists (echoes heavily of LOTR and The Wheel of Time). The narration on this amazing book is excellent! I listened to this book while on an exercise bike, and increased to 1 hour a day because I wanted to hear what would happen next! It's a great listen for a long drive, as well. 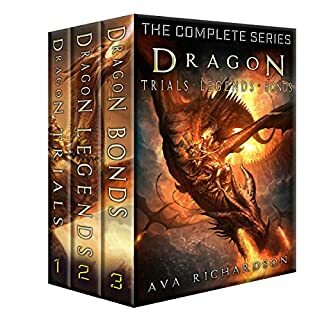 I would recommend this to any fantasy/sci-fi fan for a great adventure. The author doesn't talk down to the audience, and he has taken a character through a difficult changes with help from wise mentors and good friends. A good reminder for those of us on either side of that equation. As a mother of young children, I am always looking for books to listen to that are children friendly (no vulgarity, cussing, etc) yet interesting enough to hold my attention. The book does drag a little bit, but I don't mind really long books. 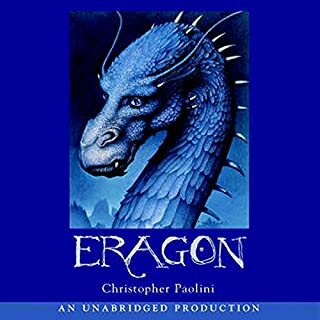 I thoroughly enjoy the narrator and think that Paolini is doing a great job considering his age. Like the book- hate the voice used for all the Dragons. Saphira is a female dragon but for some reason Doyle believes her voice should sound just like Cookie Monster from Sesame Street. Absolutely enjoyed the book. Gerald's reading is the best of any Audible reader I've heard. Story detail is outstanding and has you looking for more. Not everyone will appreciate the author's effort in so fully developing a story; for these the abridged version is recommended. For those of you who are enthralled by dragons, dreams of 'what if', and the notion of Riders, this is the book for you. The story is amazing and Gerard Doyle is just wonderful in his narration... Wonderful all round. The story can take you away and immerse you in so much magic. So pleased to have found this is my later years as it has brought me back the joy I had in reading Harry Potter, The hobbit and other such fantasies as a child. I am pleased I kept this new adventure for another time in my life when an adventure was sorely needed. Loved the story. I recommend it to anyone who would like to forget themselves in a well written tale.